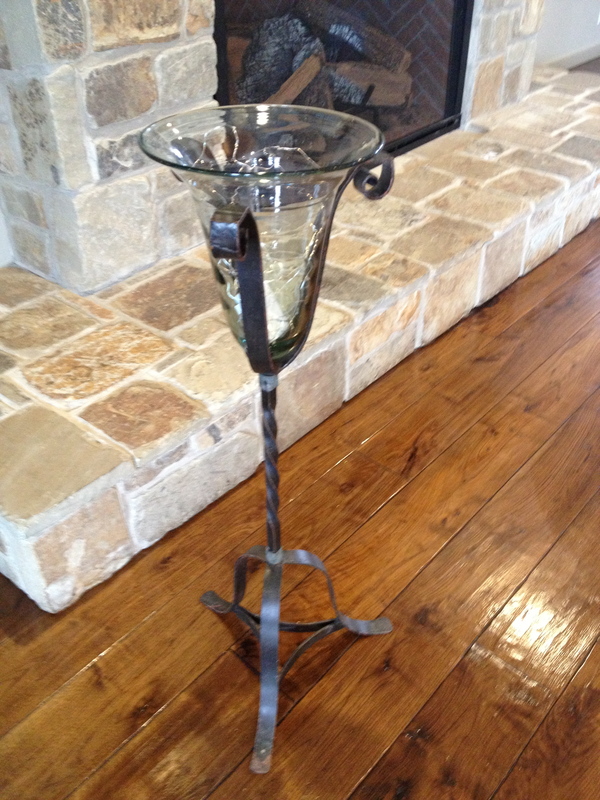 Rustic hurricane vase that can be used for florals or candles. Stands approximately 40" high. Rents for $25.00 each (two in stock).